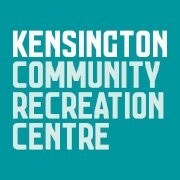 Start taking classes at Kensington Community Recreation Centre and other studios! They are located at the corner of Kensington Road & Altona Street, Kensington. Plus there is free parking available. KCRC is well equipped to cater for people of all abilities including ramp access to the centre and within the facility to the group fitness hall. The app hadn’t been updated, this class was yoga instead. This is an outdoor class, just FYI. Bikes are a bit dated, but still mostly function. Microphone was broken so the instructor had to yell. The instructor didnt match the RPMs to the musics BPMs which felt a bit weird. Overall, a good work out and fine for the 4 points. Class pass put the wrong timetable up so worth checking the centres website to confirm the actual class! Nice instructor, but there was (what appeared to be) animal hair over the carpet. Good workout to start the weekend. The instructors were great! Great intense workout! Good for stress relief as well!